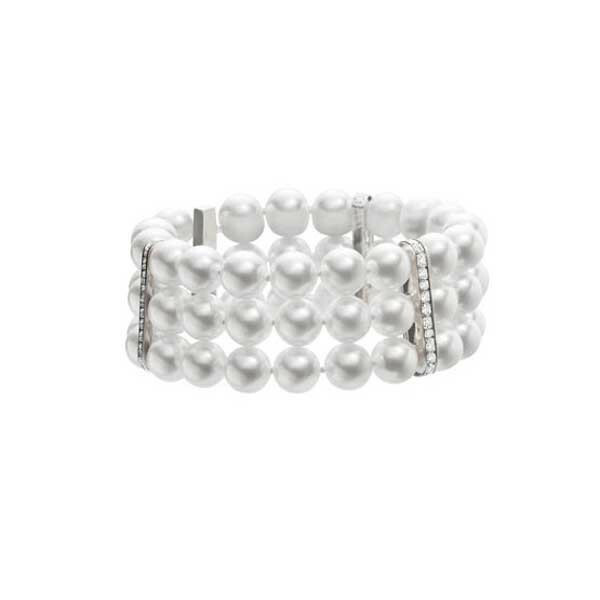 This stand-out bracelet from Mikimoto is sure to make people stand-up and take notice! A triple strand of 8.5mm Akoya pearls are strung together with four diamond-lined dividers, bringing an unexpected addition of glitter and glamour. Mikimoto is all about discovery and development; this bracelet shows the designer's passion for pearls and dedication to invention.